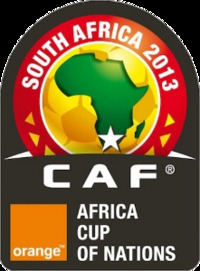 Winners qualify to the Final Tournament in South Africa. Draw on 05.07.2012 in Johannesburg (RSA). Teams that played in CAN 2012 were exempt from this Round. Draw on 28.10.2011 in Malabo (EQU). Draw on 28.10.2011 in Malabo (EQU). the 4 lowest ranked teams. South Africa qualified as a Host. Libya was the initial host, but due to the War in 2011, the host was switched to South Africa.